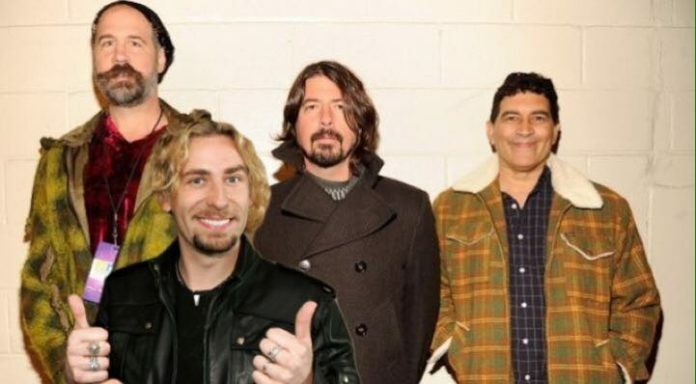 A Facebook campaign has been launched to get Nirvana back together with Nickelback’s Chad Kroeger on vocals. “The campaign starts here,” says the event page, which lists January 1, 2019, as the date the gig is expected to happen. It spells Kroeger’s name incorrectly too. So far 735 people have said they are going, while 2.2k are interested in going. The proposed venue by fans for the show is The Nirvana Hair and Beauty Bar in Manchester. Meanwhile, Frances Bean Cobain recently said her father, Kurt Cobain, “wouldn’t have stood for” the current political situation in the United States. “The violation of basic human rights that seems to be a prevalent theme in our country right now – I would like to believe that Kurt wouldn’t have stood for that or accepted that,” she said. Cobain also discussed the taboos surrounding mental health and addiction and her own struggles with both in the past, while her father also struggled with both before his suicide in 1994.